New Delhi: Aiming to weed out archaic laws and committees, the food ministry has decided to disband the 56-year old Development Council for Sugar Industry (DCSI) saying the statutory body is no longer relevant after decontrol and de-licencing of the sugar sector. DCSI was set up way back in 1954 under the Industries (Development and Regulation) Act. The Council looked into issuance of licences for setting up of new sugar mills and other issues related to the sector. DCSI has normally been reconstituted after expiry of two years tenure. I always like seeing new examples of innovation and improvement at first generation ethanol plants, proving that it’s not only the cellulose ethanol industry that is aiming for advanced technologies. After writing many articles about corn-ethanol producers working to improve energy efficiency, reduce water use and implement new technologies to make their plants run better and more profitably, there’s no doubt in my mind that I’m covering an industry that’s always moving forward. Not everybody realizes this. As we drive around the island of Mauritius, I suddenly realise we've driven a few kilo meters and I've seen nothing but sugar cane. Sugar cane is everywhere in Mauritius. The tall green plants cover a third of this Indian Ocean island which is roughly the same size as Luxembourg. Sometimes the stalks stand up straight, and at other times, they slant - a built in resistance for survival on a windswept island. Greg Turley and his brothers, who sold online car rental business Cartrawler, are planning a vast €250m investment to build an bio-fuel plant in Macedonia in partnership with US industrial behemoth DuPont. The consortium plans to export cheaply produced ethanol into the lucrative European market when the plant is built in 2016. It will use cutting edge cellulosic ethanol technology which has been developed and commercialised by DuPont. The Samajwadi Party government plans to set up a new sugar mill at the cost of nearly Rs 400 crore in party chief Mulayam Singh Yadav’s parliamentary constituency Azamgarh. The proposed mill will be set up on the land of cooperative sugar mill which has been lying defunct for the past decade. A proposal for setting up the new sugar mill by Uttar Pradesh Cooperative Sugar Mill Federation (UPCSMF) has been sent to Chief Minister Akhilesh Yadav for final clearance. 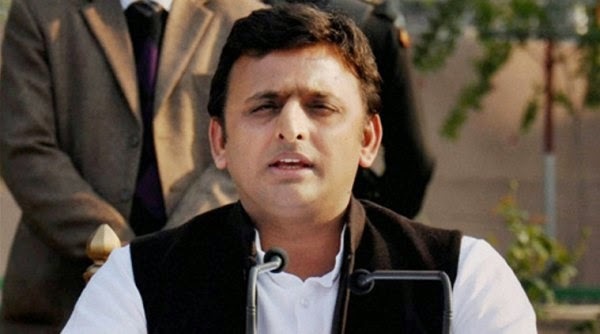 “The proposal has been prepared due to the keen interest of Chief Minister Akhilesh. The new sugar mill will be set up at Sathiaon in Azamgarh,” a senior official told The Sunday Express. Brussels has stepped up its probe into price fixing in energy markets, raiding several companies in two European countries involved in producing and trading the biofuel ethanol. The European Commission confirmed that it mounted the unannounced inspections on Tuesday, acting on concerns “that price benchmarks may have been distorted through anti-competitive behaviour”. The Abengoa Bioenergy plant in Hugoton, which converts plant cellulose into ethanol, will celebrate its grand opening Oct. 17 with a visit from U.S. Energy Secretary Ernest Moniz. The plant was built to produce 25 million gallons of ethanol from nearly 350,000 tons of biomass annually. Most ethanol operations use corn or other grain kernels, rather than the cheaper and much more abundant plant cellulose, such as contained in corn cobs, wheat straw or switch grass. Big Oil can’t put the brakes on a new renewable fuels factory in Iowa — one that will seek to supplement petroleum with next-generation cellulosic ethanol. The “Project Liberty” facility will consume 285,000 tons of biomass a year to produce up to 25 million gallons annually of bio-ethanol. What makes this deal noteworthy is that, if successful, it would help move the nation away from the controversial corn-based ethanol era and into the cellulosic ethanol period, or one that relies on wood, grasses and inedible plants. The benefits are that cellulosic ethanol is abundant in nature, however, the cost of converting such biomass to a transportation fuel is prohibitively expensive. MUMBAI: Plunging sugar prices have forced at least one sugar mill to default on bank loans and could drive others to do the same, the latest sign of the heavy toll a four-year-old supply glut in the country is taking on producers of the sweetener. One of the country's largest sugar mills, Mawana Sugars Ltd, has defaulted on 2.5 billion rupees ($40 million) of outstanding loans from a consortium of lenders, according to an official from the company. LUGARI MP Ayub Savula has accused the Jubilee government of being behind problems facing the sugar industry. Savula said the government has neglected the sector by failing to review the single customs protocol taxation regime by East African Community member states. "It is unfair for Treasury Cabinet Secretary Henry Rotich to put in place taxation measures for tea and ignore sugar just because the crop benefits people from Western," he said. SÃO PAULO—Sugar cane growers in Brazil's state of São Paulo are facing considerable losses, in terms of production and money, because of wildfires that are being exacerbated by a drought, sugar industry group Unica said on Tuesday. Some of the fires were started intentionally, and illegally, while others are accidental, according to the organization. Brazil is the world's biggest producer and exporter of sugar, and the worst drought in about 100 years in São Paulo has already contributed to a cut in the size of the country's cane harvest for the 2014-2015 crop season, Unica said. NEW YORK—Sugar prices trimmed their gains late in Tuesday's session as hefty global supplies weighed on the market. Investors with bets that prices would fall have been taking profits from their positions since the market ended at a five-year low last week. In addition, the upcoming expiry of the October contract, weather risks to Brazil's harvest, and an uptick in demand for raw sugar from refiners pushed prices higher. But demand petered out just above 16 cents a pound in the March contract.